A beautiful moment in once life that’s called as Marriage Anniversary. This is milestone for every married couple and much awaited moment in their life. We all feel very conscious when there is some special occasion our loved and closed ones of course we all want to make them feel something exceptional. 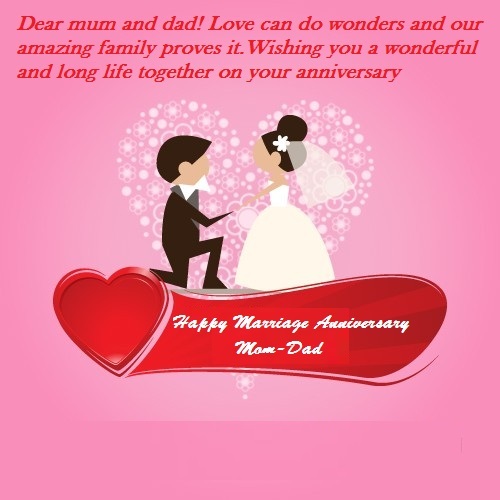 So we pretty much sure you are here to grab some new collection of marriage anniversary wishes which you want to dedicate your world favorite couple (Mom-Dad) via text and greeting cards.